Natural Health News — Artificial sweeteners, which are widely promoted as a way for overweight and obese people to manage their weight, may cause bigger problems than they solve, according to a new study. Artificial sweeteners, which are generally regarded as undigestible, are often used to help individuals cut calories and manage their weight; and normally, weight loss is associated with several improvements in health. However, new evidence suggests that the bacteria in the gut may be able to break down artificial sweeteners, resulting in problems with the body’s management of glucose levels. » A new study tracked obese individuals’ use of artificial sweeteners and sugar over a 24 hour period then compared these intakes to blood glucose levels. » Results showed that those who used artificial sweeteners, particularly aspartame, may have worse glucose management than those who don’t take sugar substitutes . The researchers used data from from the Third National Health and Nutrition Survey (NHANES III). More than 2800 adults reported their diet over the past 24 hours and were classified as consumers of artificial sweeteners (aspartame or saccharin), or high or low consumers of natural sugars (sugar or fructose). Diabetes risk was measured as the ability to manage blood sugars using an oral glucose tolerance test. “Our study shows that individuals with obesity who consume artificial sweeteners, particularly aspartame, may have worse glucose management than those who don’t take sugar substitutes,” says Professor Jennifer Kuk, obesity researcher York University’s School of Kinesiology and Health Science. 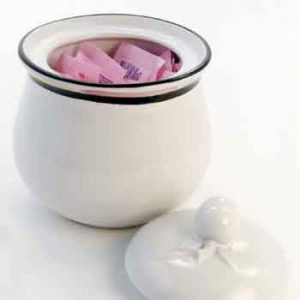 Currently, there are many new sugar substitutes foruse at home and in processed foods. Few have been studied for long-term health effects. Kuk notes that future studies should delve more deeply into whether the risks of artificial sweeteners outweigh any possible benefits.